Electrical signals transmitted at high frequencies lose none of their energy when passed through the ‘wonder material’ graphene, a study led by the University of Plymouth has shown. Discovered in 2004, graphene – which measures just an atom in thickness and is around 100 times stronger than steel – has been identified as having a range of potential uses across the engineering and health sectors. 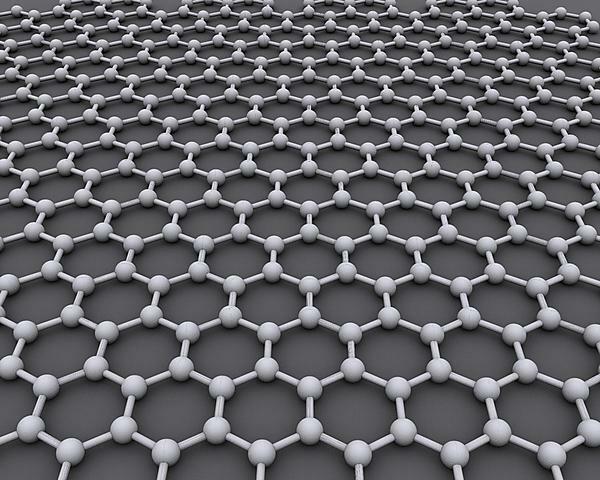 Now research has shown graphene out-performs any other known material, including superconductors, when carrying high-frequency electrical signals compared to direct current, essentially transmitting signals without any additional energy loss. And since graphene lacks band-gap, which allows electrical signals to be switched on and off using silicon in digital electronics, academics say it seems most applicable for applications ranging from next generation high-speed transistors and amplifiers for mobile phones and satellite communications to ultra-sensitive biological sensors. The study was led by Dr Shakil Awan, a Lecturer in the School of Computing, Electronics and Mathematics at the University of Plymouth, alongside colleagues from Cambridge and Tohoku (Japan) Universities and Nokia Technologies (Cambridge, UK). The study, published in the IOP 2D Materials Journal, was funded by the EU Graphene Flagship, EPSRC, ERC and Nokia Technologies, and the results are now being exploited in developing high-speed and efficient low noise amplifiers, mixers, radiation detectors and novel bio-sensors. The latter is the focus of a three-year £1 million project funded by the EPSRC on developing highly-sensitive graphene bio-sensors for early detection of dementia (such as Alzheimer's disease) compared to current methods. Graphene is ideally suited for this as its room temperature thermal noise is smaller than any other known material, enabling the sensitive detection of tiny numbers of antibody-antigen interactions to indicate the likelihood of a patient to develop dementia in the future.